The MKE 2 Gold sub-miniature omni-directional lavalier is ideal for television broadcast and theatrical productions. Its accurate frequency response produces natural, uncolored sound. 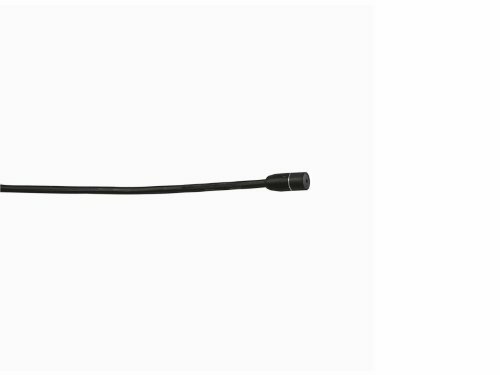 A unique Umbrella Diaphragm delivers moisture-resistant performance with the identical high audio quality of the industry standard MKE 2 lavalier. Its size makes it not only unobtrusive and easy to conceal, but also offers a textbook perfect omni-directional polar pattern. An extremely thin low mass diaphragm exhibits extraordinary transient response. The microphone also comes with two additional sound inlet caps to tailor the high frequency as needed. Color: matte black.